Chik-Fil-A Calendar fundraiser for your homeschool expenses. Deborah Helms is heading this up, Please contact Deborah directly with any questions. Her contact info is below. Hey everyone! Do you want to make some money for homeschool expenses? We have found a great opportunity. 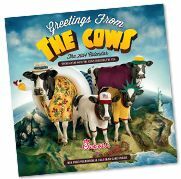 The Chik-fil-A calendars are a great value and could be a gift for that special someone...teachers, parents, friends, etc. Perhaps, this could even be for you or your family. They make great stocking stuffers and keep giving all year long. Here are the specifics: Orders are available until November 26th. You are able to pick up your calendars ONLY after you are emailed they are available for pick up. Be sure to send payment ONLY after you are sent return email verifying they are available. Payment must be made prior to pick up. There will be no refunds. No exceptions. Once you buy them, they are your's. You can pick them up from the downtown Birmingham Library in the lobby (2100 Park Place, Birmingham, Alabama 35203-2744). Other locations and times may be available for pick up. Please email me if you need another pick up time and place. We currently have 500 calendars on reserve. It will be first come, first serve. Sale Cost per Calendar: $4.40 (you sale it at $8=profit of $3.60 per calendar). This cost includes the card for monthly menu items and the calendar. 1. Send money to Paypal (send to helmsddk@yahoo.com) Make sure to use the "friends and family" option and NOT any other selection. If you do not use "friends and family" and there is a fee charged, you are responsible for the cost difference. 2. Email Deborah Helms at helmsddk@yahoo.com with the subject heading of Chik-Fil-A Calendars. 3. Wait to hear back from Deborah for further instructions.